A lock off kit is essential to any electrician, providing the ultimate security for electrical circuits. After completing the safe isolation procedure, the system is considered safe to lock off and begin work. 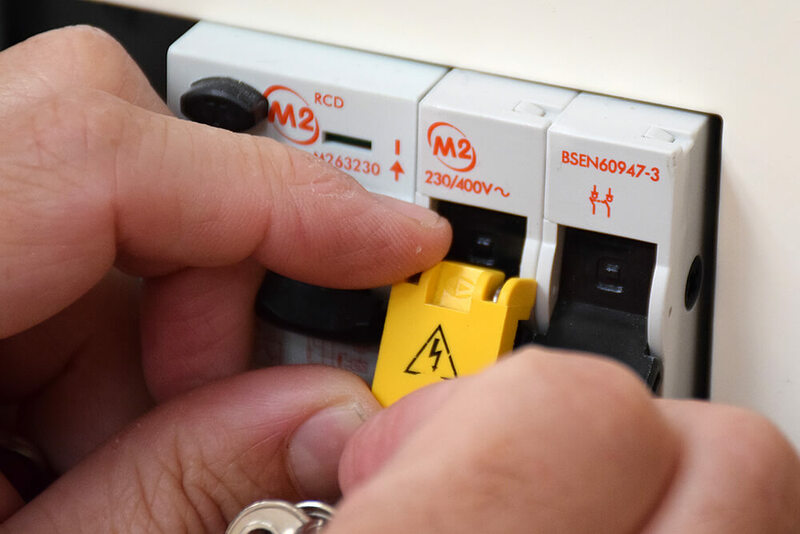 Alternatively, if the system is not considered safe or it is dangerous, then it is used to ensure systems are shut off properly and isolate for the safety of customers and other tradespeople. Only the electrician who locked it off to begin with has the key for the lock to open the system again. This prevents homeowners from accidentally turning it on when dangerous or while a electrician is working on it. Lock offs come in a wide variety, fit for different purposes. 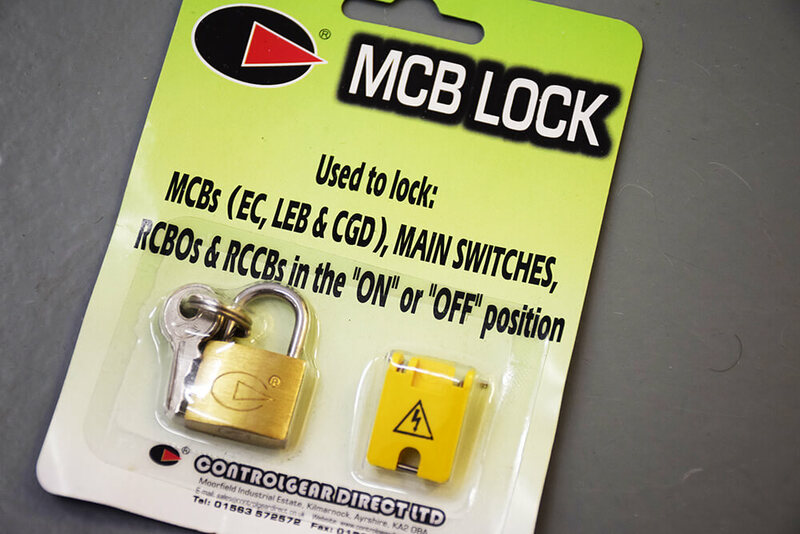 This Newlec lock off in particular, which we have reviewed, is best suited for MCB’s but can also be used for mains switches, RCCB’s and RCBO’s too. 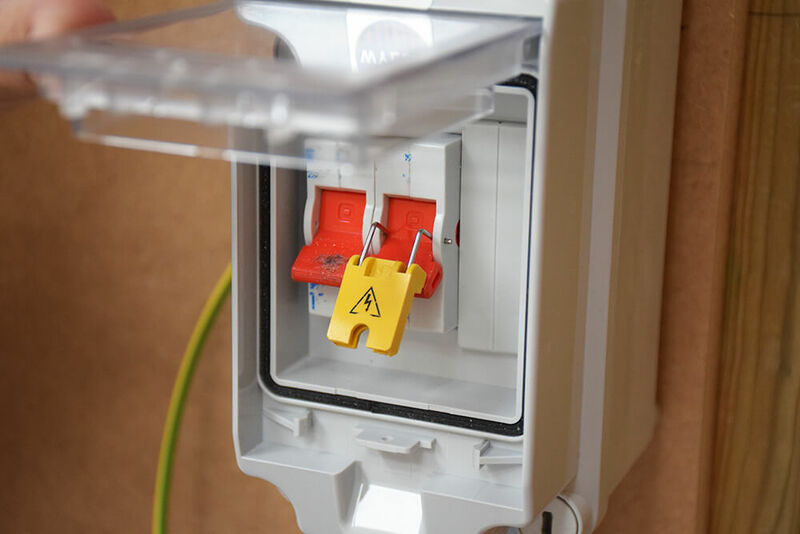 The kit includes a padlock, 3 keys and a yellow hazard indicator lock off, which is everything you need to ensure your system is safely locked off and visibly out of action. 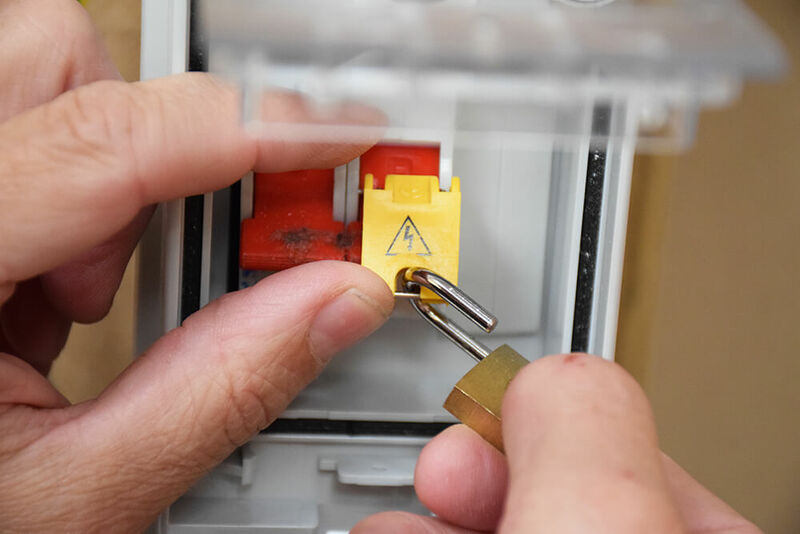 The process of using the lock off is simple and easy, with a quick installation and no tools required! 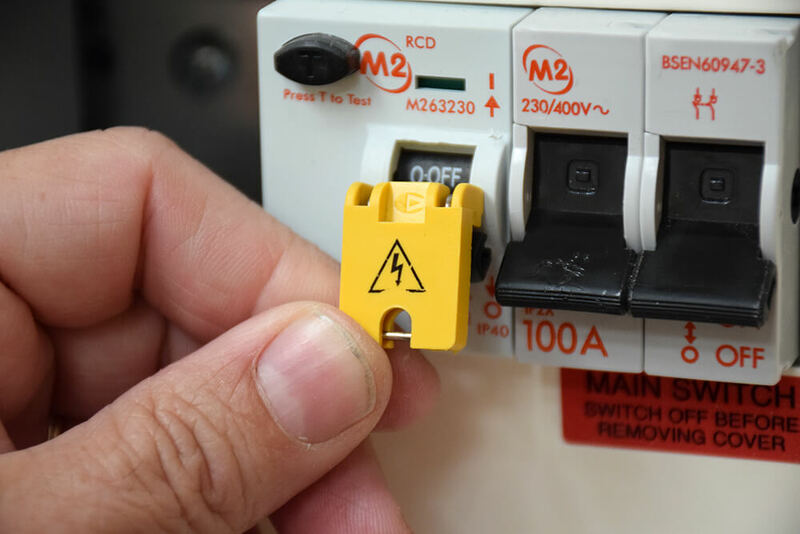 The retaining pins of the yellow indicator slot into the holes of the circuit breaker or mains switch, which is extremely useful for domestic electricians as the lock off doesn’t damage the actuator (dolly) on the switch, like most lock offs do. 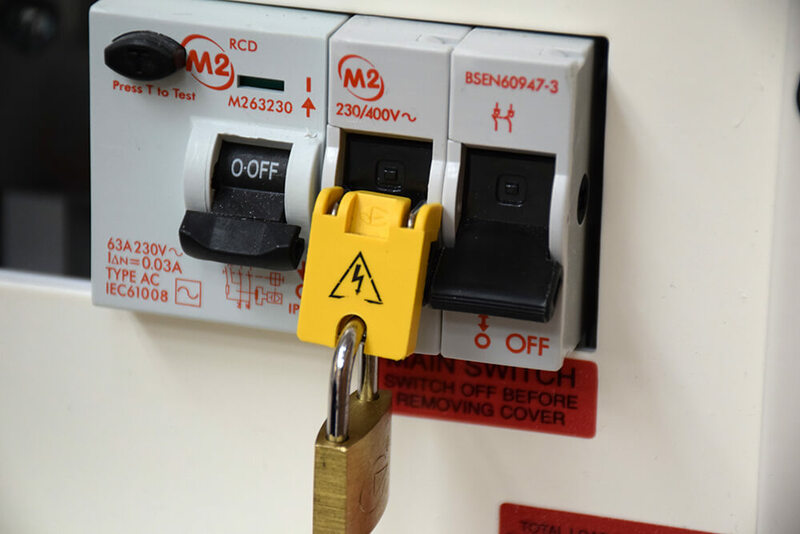 There is also an option that allows you to lock a circuit breaker on for testing purposes, which still allows the breaker to trip if there are faults present. You are sure to find a use for this handy little lock off kit in your tool bag, fitting most popular brands of circuit breakers and mains switches with minimal damage. Multi purpose lock off for MCB’s, RCD’s, mains switch, RCCB’s, etc. Does not damage the actuator (dolly) like most lock off kits do. 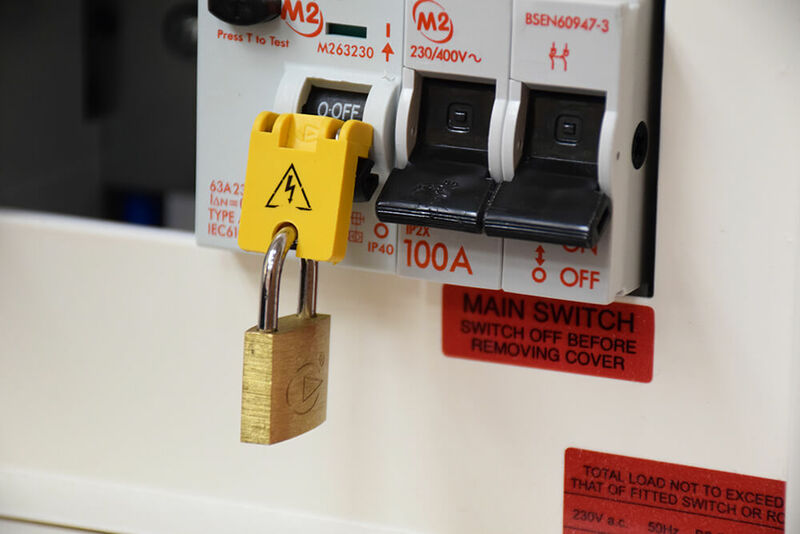 Option to lock a circuit breaker on for testing purposes. Only works on newer style breakers. Brands which have the holes on the outside such as Eaton and Hager are not compatible. The Newlec lock off is available to buy online from Amazon and various online retailers. Complete the safety procedure and take a look at our review for Kewtech safe isolation kit!